All of our church pew ends are made of solid oak, which allows us to stain them to match your existing church furniture and show off the beautiful wood grain of the church pew ends. But the look of stained wooden church pews isn’t right for every church. Another option is a flat white paint effect called Colonial White. Colonial White still has a lot of options for your church pews, even if you want something more traditional in color. Traditional style churches look great with traditional style church pews painted with flat white paint. 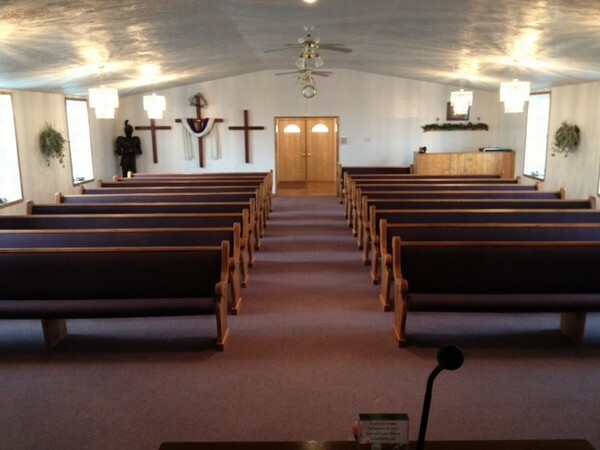 The white pews bring brightness and are a natural choice for churches with white walls. They also harken back to long-standing traditions from colonial America, when our nation was founded on Christian principals. Having traditional Colonial White pews can make a statement to visitors about your church’s values as well as looking beautiful. But all white can be too much for some. If all-white seems too cold for your church, you can highlight the natural wood of the armrests and top of the church pews, as in the picture above. The combination of the sharp white paint and the natural wood tones can be very attractive. 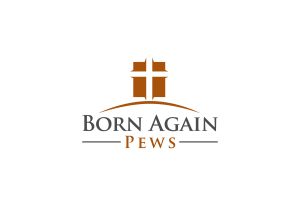 Remember, Born Again Pews also creates custom church pews. If you need something special for your sanctuary, don’t hesitate to contact us to discuss your needs.